EXCELLENCE in design EXPERIENCE in staff ENVIRONMENTAL in focus LISTEN to our clients ENHANCE the design to improve functional, aesthetic, environmental outcomes. 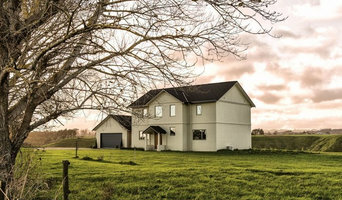 CREATE quality architecture, using the best team of sub-consultants & contractors E3Architects is a award winning NZIA Registered Architecture Practice based in Palmerston North. Our team has over 40 years experience providing our clients with access to the best design skills, technical knowledge, and team of local consultants and contractors. Projects include:- - Institutional Teaching/Research Facilities - Industrial/Commercial Building - Master Planning - Earthquake Strengthening - Urban Design - Interior Design - Eco Housing, - Executive Homes, - Creative Alterations Sole Director Mike Tate-Davis as a committed christen is also passionate on working with churches, non-profit groups and partnership with christian based Homes for People - a charitable housing provider. Our briefing/facilitation techniques allow early visualization of concept options, and development through hand sketched design workshop meetings and CAD 3-D visualization to ensure the client has a clear understanding throughout the design process. Our clear construction documentation ensures compliance with council requirements and provides savings to our clients through competitive tendering to our database of experienced local contractors. At D.A we think outside the square to create all manner of architectural design solutions. We are great communicators, we listen to our clients and builders to ensure that our projects proceed smoothly from design concept to final certification. We're experienced design professionals whose integrity and accountability shows in every aspect of our work... whether its a home in the country, an apartment in town, a cafe/restaurant, a winery, a student hostel, a manufacturing warehouse, a commercial office or a complicated space planning & interior design solution for a corporate client... we transform space simply and effectively. Sophie Ross is a newly established Architect who offers an innovative and quality service to her clients. She provides a collaborative approach and cost-effective solutions to help her clients achieve their design and construction goals. 'Sophie Ross Architect' offers all architectural services from Design and Documentation through to Building Procurement and Contract Administration. With seven years’ experience gained both locally and internationally, Sophie is Wanganui-based and services the lower North Island. Sophie is registered as an Architect with the NZRAB and holds a Bachelor of Architecture from Victoria University of Wellington. Sophie's portfolio covers a range of project types including residential, retail, industrial, educational and healthcare projects. Please take a look at her sample of works on the portfolio page. Led by Registered Architect Elinor Harvey McDouall, we're a flexible, efficient and creative group with strong technical skills behind us. 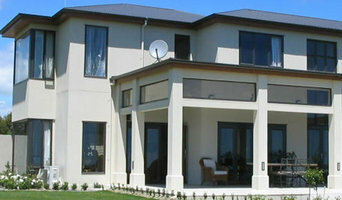 For hundreds of years Registered Architects have been creating beautiful buildings in New Zealand. At Black Pine, we endeavour to continue this tradition, while saving you energy and keeping you comfortable & healthy, so you can enjoy the view! The Dalgleish Architects team is a creative, committed team of design professionals experienced in the design and delivery of projects. We have an established reputation as designers. We have this because we sweat the little stuff. The members of our team enjoy being innovative, being extended by ones collaborators, learning from and contributing to a project team. The architect leads the process and the team, but all those contributing to the process are able to add something of value. 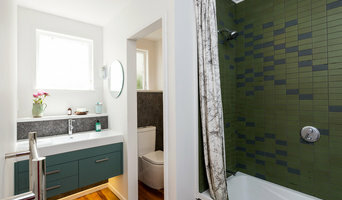 Heather Hocken is a NZIA Registered Architect and an Architectural Photographer. She is passionate about our built environment and wants to make it a better place for people to live, work and play in. She completed her Bachelor of Architecture with Honours at Victoria University Wellington in 2000, following completion of a scholarship to the Masters Program in Architecture at the University of California in Berkeley, USA. She went on to practice architecture in the United Kingdom and completed a Post Graduate Diploma in Architectural Practice at Leeds Metropolitan University, registering as an Architect in the UK in 2004. Before setting up her own office in NZ she was a Project Architect for Athfield Architects and an Associate Architect for Designgroup Stapleton Elliott. During this time she has specialized in architectural photography and completed a Bachelor of Applied Visual Imaging at the internationally recognized Universal College of Learning in Palmerston North in 2013. In 2012 she won an NZIPP Iris Gold award and in 2013 an Iris Silver and Bronze. She now compliments her architectural studio work with architectural photography, showing her eye for design and detail. 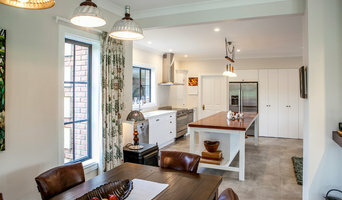 If your renovation is more than a simple benchtop replacement or roof re-tiling job, then it may be time to find an architect in Palmerston North who can manage your project from start to finish. Depending on the architecture firm you hire, the scope can span from planning sustainable design into your renovations, to selecting furniture and even interior finishes. An architect is often the first person you hire for your project. Before taking steps to find an architect in Palmerston North, ask yourself what you want to achieve from your renovation or home construction. 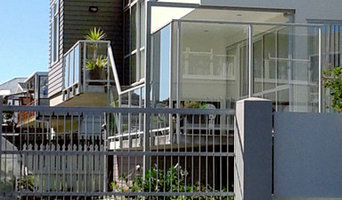 Do you want to improve the liveability and sustainability of your home, or simply expand? What style of architecture do you prefer? Once you have established your motivation, research architects that have completed similar house designs in your Palmerston North locale and within a comparable budget to yours. Ideally, your Palmerston North architect will be involved in all phases of the design process, from the initial concept to the completed construction. Your architect may be needed to select and hire subcontractors (e.g. builders, engineers and landscape architects) just as they may need to negotiate contracts with stakeholders. A good client-architect relationship will ensure they are your biggest advocate along the way during construction. Find residential architects on Houzz. To find the best Palmerston North architect for your home design project, narrow your search to find professionals in Palmerston North. Then browse their latest projects and read reviews. You can also look through photos of projects to find an interior architect or designer who has worked on a project similar to yours.